The best decorations are the ones that transition well from one holiday to the next. 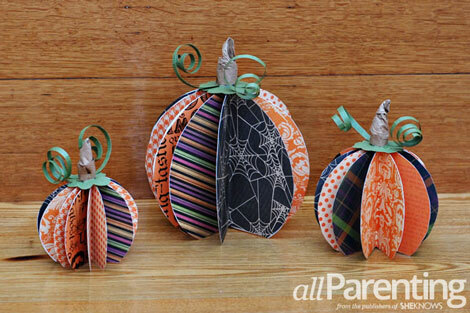 You can choose different scrapbook paper to make these cute paper pumpkins work for Halloween, Thanksgiving or for the entire fall season. 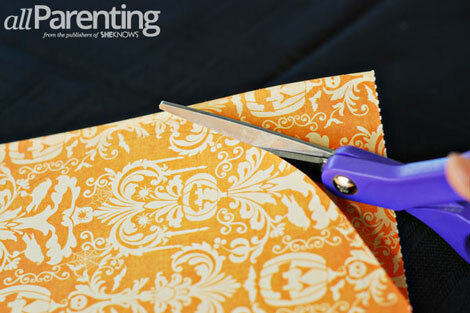 Fall is such a wonderful time for crafting, and making your own holiday decorations is a fun and inexpensive way to make your home more festive. 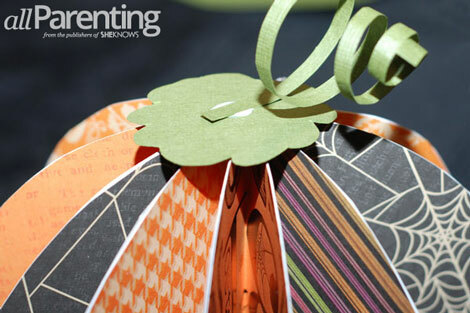 This paper pumpkin craft from It Happened Like This is a fun afternoon project that any crafter can accomplish. 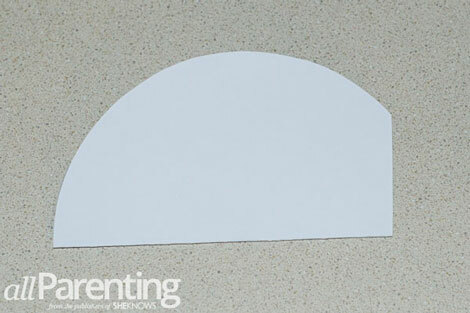 Trace a 6-inch, a 5-inch and a 4-inch circle onto your card stock, then cut out the circles. 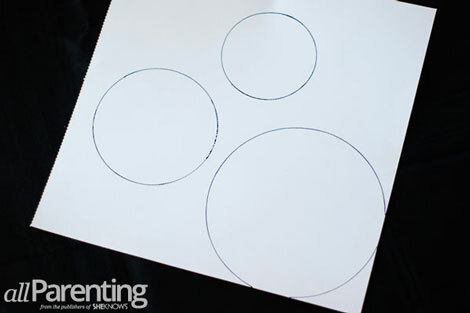 Use your circle templates to trace 12 scrapbook circles for each size. 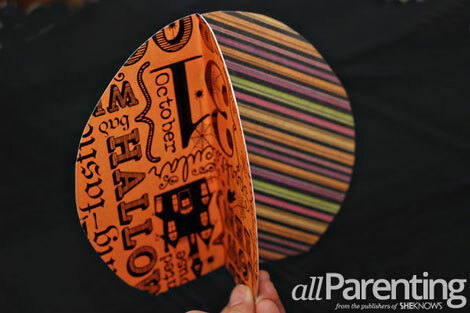 Fold all of the cut out scrapbook paper circles in half, with the colored sides of the scrapbook paper facing each other. Next, cut off approximately 1/2-inch from one side of each of the semi circles. This will create a flat bottom for the pumpkins. 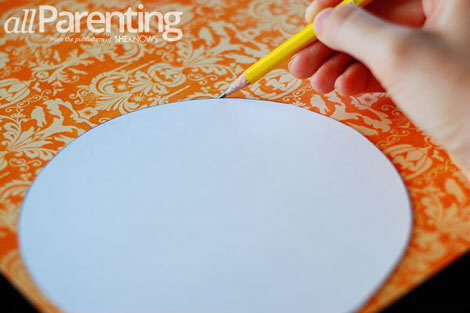 Starting with the 6-inch circles, glue the back sides of the 12 circles of scrapbook paper together to create a 3D sphere. Repeat the process with the 5-inch and 4-inch circles. 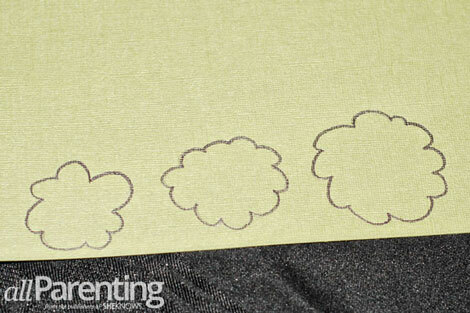 Draw a small, medium and large flower on to the green scrapbook paper, then cut them out. Feel free to get creative (they don't have to be perfect). 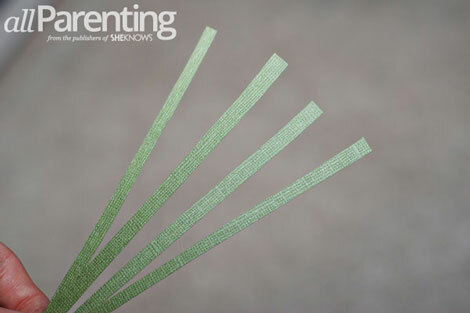 Cut six strips from the green scrapbook paper that are approximately 1/4-inch wide by 12-inches long. 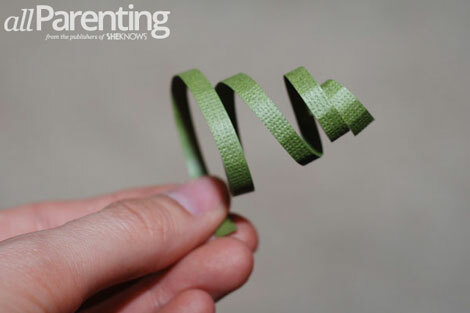 Wrap the narrow green strips around a pen or pencil to make them curl, then unroll the curl and stretch it out a bit to create the vine. 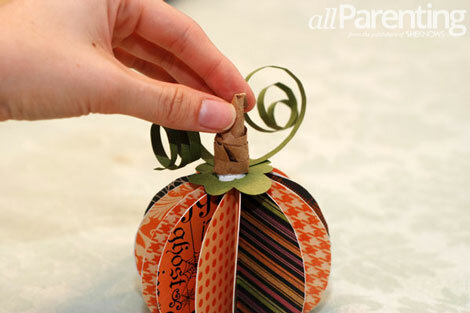 Make a swirl of glue on the underside of each flower, and place them on top of the paper pumpkins. Place a dot of glue on top of the flower and use it to secure one of the vines in place. Allow the glue to dry a little, then repeat the process to glue a second vine to the flower. Cut a strip of brown kraft paper that is 2 x 12-inches. 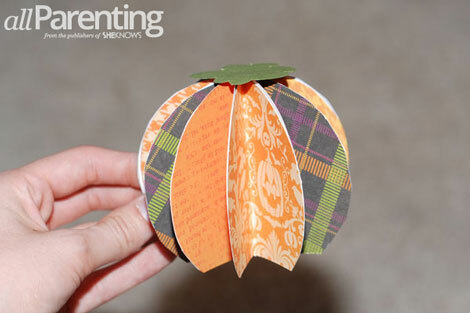 Roll the paper up and then twist it to create the stem of the pumpkin. Use a dollop of glue to secure it in place. Repeat two more times to make a stem for each pumpkin. 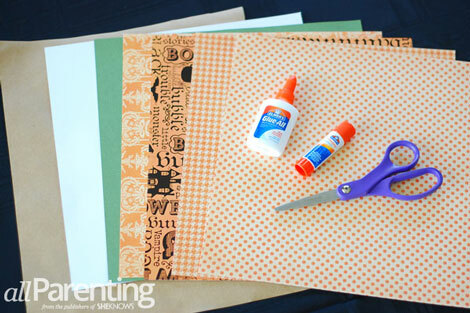 Allow the glue to dry completely, then you are ready to decorate with your scrapbook paper pumpkins!